Friendly hosts, safe motorcycle parking in their garage, everything super clean, supermarket and very good restaurant walking distance. We were fortunate to have chosen to stay at Casacobelli. Everything about this genuine guest house made us very comfortable, and feeling like very welcomed guests. Aside from the wonderful hospitality (thank you Enrica & Renato!) the location is superb for visiting Lake Garda. With a supermarket and good pizza place a minute drive away, it is hard to imagine just how quiet the apartment is. As for the apartment itself- it is spacious, comfortable and clean, with a nice garden and pool for the kids. There are even mosquito nets on the windows - a necessity that I haven’t encountered in other guest houses here. Very hospitable and lovely hosts. Modern, clean and beautiful apartment. A pool outside, and a marvelous garden around the house. Also, very beautiful and peaceful village with some great restaurants. Great spot for vacation by car. If you want relaxed vacation, plan at least 10 days stay since there are so many things to do or see in 1 hr range by car, whether if you are adrenalin junky or simply love relaxation and sightseeing. Main attractions (theme parks and zoo) of the area are on 15-20 min. trip by car. Hosts Enrica and Renato were lovely. They gave us good advices for sightseeing nearby. Place is newly renovated, everything is new and better looking then on the photos. Extremely cosy and clean. If you come with kids or even a dog they have lovely garden for play. If you don't come with a dog I'm sure you'll fall in love with their dog Agata. Everything, couldn't fault anything. 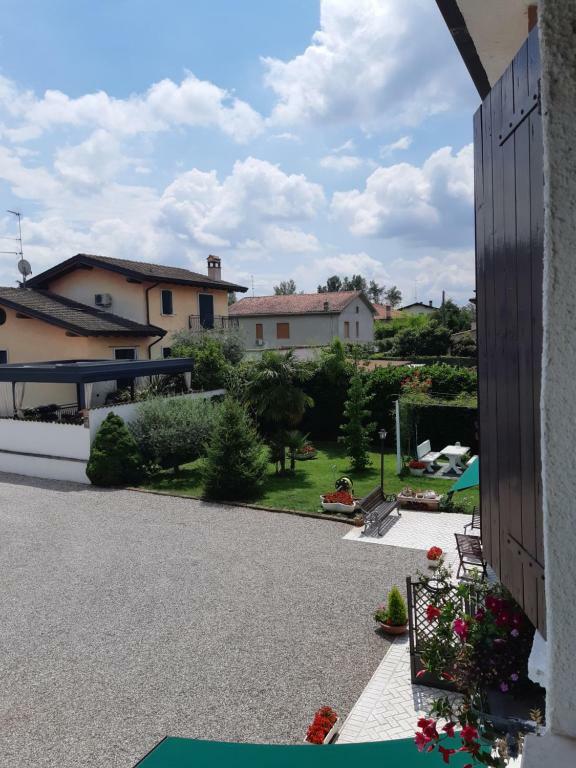 Lovely owners, friendly Beagle Agatha, lovely and clean, good supermarket close by, easy access to Lake Garda and the theme parks, pool was great for the kids. Would definitely stay again and recommend to friends and family. The apartment was excellent, very comfortable, spacipis rooms, very quiet, beautiful garden, great kitchen, nice big bathroom. We just loved our hosts Enrica and Renato, the most friendly people! And their dog Agata is lovely! Excellent location in a lovely village .new and clean apartment. The garden is really nice we had great time there .anrica and Moreno are lovely people we had great time with them we will come again ! Lock in a great price for Casacobelli – rated 9.8 by recent guests! 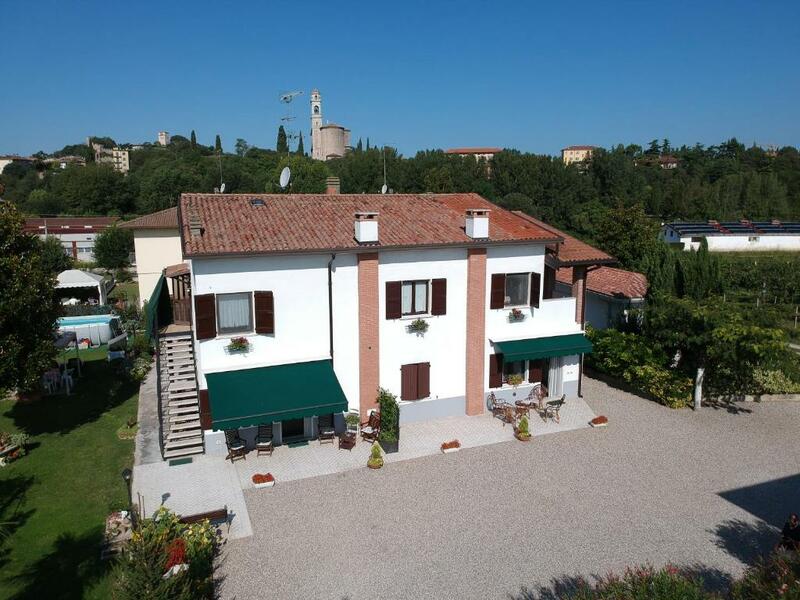 Offering a 4921 ft² garden with swimming pool, Casacobelli is located in Monzambano, in Mincio Nature Park. It offers spacious apartments with free WiFi, air conditioning and a flat-screen TV. Fiera di Verona is 19 mi away. The apartment also feature a fully equipped kitchen and dining and seating areas. Towels and linen are included. Casacobelli is just 650 feet from the nearest supermarket and a pizzeria restaurant. Monzambano town center is 0.6 mi away where you will find more restaurants, shops and cafes. Free parking is available on site. You are a 15-minute drive from Gardaland and 10 minutes' drive from Peschiera del Garda on Lake Garda. 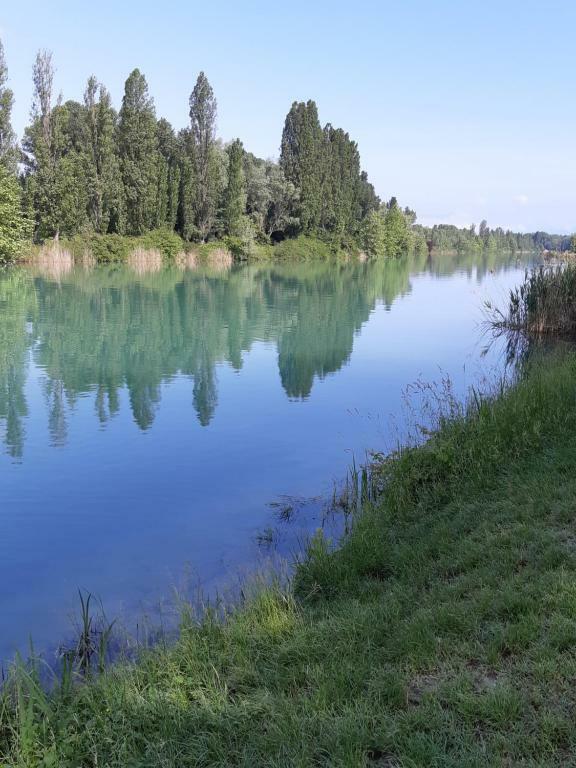 Cyclists will enjoy the cycle path through Mincio Nature Park, which connects Mantova with Peschiera del Garda. This property also has one of the top-rated locations in Monzambano! Guests are happier about it compared to other properties in the area. This property is also rated for the best value in Monzambano! Guests are getting more for their money when compared to other properties in this city. 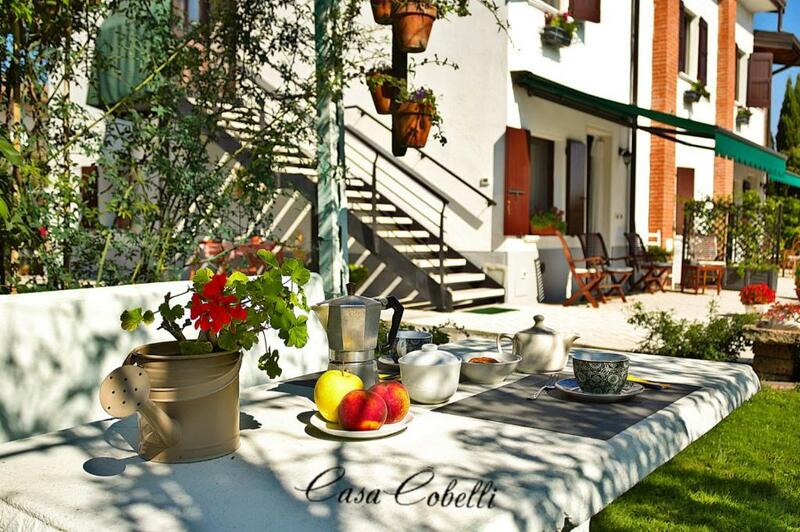 When would you like to stay at Casacobelli? This apartment features a tile/marble floor, stovetop and kitchen. Spacious apartments of 65sqm recently renovated and equipped with all comforts, airco , tv, outdoor swimming pool, do offer a fully independent accommodation, surrounded by 1500sqm garden, within the wonderful Mincio’s green area, central to many destinations, ideal for a relaxing and comfortable holiday, or a convenient stopover, property is fenced and has free private parking. Enrica and Renato welcome you and will be able to advise you on what this rich area has to offer with its local products and history. They are used to travel abrod and know what the guests need to enjoy their vacation as best as possible. Nearby entertainment and relaxation centers such as Gardaland, Movieworld, Sigurta flower parc, Villa Cedri, Sirmione with its thermal baths, monumental castles, the famous villages such as Castellaro Lagusello, Borghetto and Valeggio sul Mincio, sought after destinations. For the sports lovers the wonderful pedestrian and bike path of the Mincio Park, which connects Mantua to Peschiera del Garda is around the corner. The municipality of Monzambano is located in an ideal position, the starting point for city tours to artistic places such as Verona, Mantua, Milan and Venice, the Garda Lake is only 8km and this allows pleasant visits ; mountain and sea are at 1 hour driving distance. House Rules Casacobelli takes special requests – add in the next step! The on-site washing machine comes at an extra cost of EUR 7.50, cleaning products included. Please inform Casacobelli of your expected arrival time in advance. You can use the Special Requests box when booking, or contact the property directly using the contact details in your confirmation. Pitty there was no breakfast included, but we knew that in advance and there is a supermarket nearby and all amenities available in the appartment. Unfortunately wifi wasn’t working for 3 days due to some raining. Everything from Apartment to Hosts is just wonderful at Apartment Casacobelli. This is one of the best accomodation we came across. Apartment is modern, clean, spacious, well maintained and with all required facilities. There is nice outdoor sitting area for relaxing, children play area and swimming pool. Supermarket and good Restaurant are at walking distance. What to say about hosts, Enrica and Renate, they are just best hosts you will meet. They are wonderful and do everything to make you feel at home. Renate helped me to find rental car by taking me to city on first day. Enrica gave us great tips for local sights and also gave some tomatos from her garden for cooking. Our daughter just loved playing with them. We felt there like at home. Not to forget very friendly dog Agata which are daughter fell in love with. We are coming again next time here! Enrica, Renate - Thank you, Grazie. Best wishes from Swara, Rani and Satish.